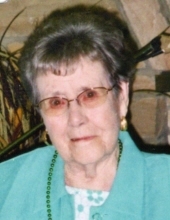 Eva Shelton Higgins, 96, formerly of Ridgecrest Dr., Danville, Va., passed away Wednesday, March 20, 2019, at Roman Eagle Rehab and Healthcare Center. She was born December 26, 1922, in Pittsylvania County, Va., to the late Averette and Lillian Motley Shelton. Mrs. Higgins was also preceded in death by her husband, Marion Eugene Higgins. She retired from C&P Telephone Co. following 33 years of service, where she was a member of the Pioneers Club. She also worked at Roman Eagle from 1980 – 2005. Mrs. Higgins was a member of The Tabernacle. She is survived by her daughter, Sue Ellen Hundley of Danville; her brother, James Shelton of Chatham, Va.; four grandchildren and seven great-grandchildren. In addition to her husband and parents, Mrs. Higgins was predeceased by her sisters, Rosa Lee Shelton Miller, Gladys Shelton McDowell, Sarah Shelton Durham, and Mary Shelton; and her brothers, Calvin Shelton, T.A. Shelton, Clifton Shelton and Grover Shelton. Funeral services will be held at 2 p.m. Sunday, March 24, 2019, at Norris Mt. Hermon Chapel with Bishop Raymond Carter, Prophetess Cynthia Carter, and Dr. Danny Campbell officiating. Interment will be private at Highland Burial Park. The family will receive friends from 1 p.m. to 2 p.m. Sunday, March 24 at the funeral home prior to the service. Norris Funeral Services, Inc. & Crematory, Mt. Hermon Chapel, 3995 Franklin Tpke., Danville, Va. is respectfully serving the Higgins family. Online condolences may be made at www.norrisfuneral.com. To send flowers or a remembrance gift to the family of Eva Shelton Higgins, please visit our Tribute Store. "Email Address" would like to share the life celebration of Eva Shelton Higgins. Click on the "link" to go to share a favorite memory or leave a condolence message for the family.